I come to revivify all of you, to engage you in the topic of love. As I have said to thee before, beloveds, you are entering into a new realm of existence. Steve: Good evening everyone, and welcome to An Hour with An Angel. My name is Steve Beckow and I am the Editor in Chief of the Golden Age of Gaia. And with me today is Linda Dillon, channel for the Council of Love and author of the Jesus Book and many others – the New You and the Great Awakening. And, Linda, the Inspired Self Course that you’ve been giving is just winding up, I think. How did it go? Linda: It went fabulously. It has been so much bigger…of course things always are, right? You start out with one concept and then it just becomes so much more. And it has been really an incredible expansion of our understanding of who we are and our Sacred Self and Divine Authority, and In-Dwelling Spirit and then moving on to inspiration and how we translate the inspiration of who we are into real concrete action in terms of creating Nova Earth. So it’s been exciting and even though – what shall I call it – the class time is winding up, the assignments and the projects have seemed to just take off. So, it’s literally taken on a life of its own. What it is, it’s really a pathway to ascension incorporating areas that previously we hadn’t really thought of. So, I think it’s a real indicator, not only for the people in the class, but for the collective about where we are in that journey. So it’s exciting! My plan is, over the summer months, that we are going to take that information and make it into an on-demand course so that people can do it at their own pace because that eight weeks is so intense. So, we are going to play with that. It’ll be one of the first on-demand courses we’ve ever done. So, that’s what’s on the horizon! LD: Did it feel like 12 years or two minutes? SB: No, actually, a snap of the fingers. LD: Yes, I mean it was really fast. And, when we look at the ground that we covered, the material that we covered, all the activations that Archangel Uriel gave us, it was like – oh my God, how did we do that in such a short period of time! SB: Something I got for the first time, for instance – the 13th Octave – the significance of that. I don’t know how I could have missed that for so long. But this time when you were talking about it, most recently, I got it. SB: Yes, after fervently researching it, going back through your materials to 2003 and things like that. Way before that even. LD: Thank you, Steve. Because, you know, in my own library of what I do, I still feel that the 13th Octave – that process of Divine Union – has been the biggest gift and the biggest thing that the Council has ever done – given us, gifted us. Because everything that we do is from there. So, it’s like they really laid the groundwork for us to do what we are doing right now. It’s amazing how sometimes it’s there and we don’t even realize it. SB: Yes. You also have a Summer Solstice webinar coming up. SB: I can’t believe it’s already happening. So, that’s going to be the topic of the Summer Solstice meeting. 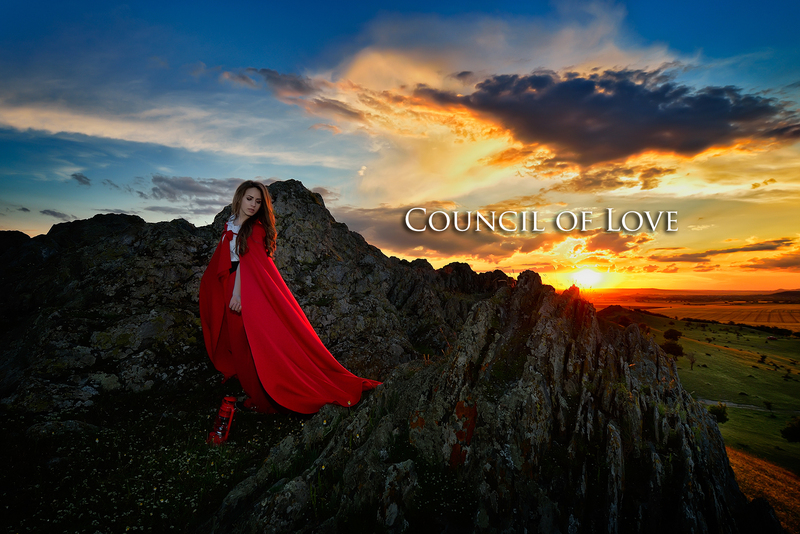 Now, it’s on the Council of Love website and I bet you it’s going to be on the Golden Age of Gaia website too. But, the trick of this is, because of the system that we use, that you need to register. We don’t use your name or your email address for anything but how we get that information out to you. How it activates the webinar system is that you register and when you have noted the time and the time zone that you want have the live webinar come to you – then it does. So, you need to go and register. But it’s free. Did I mention that it is free? And it’s going to be fun. Bring your rubber ducky or your surfboard. It’s going to be fun. LD: The horses can bring the chickens, or the dolphins. SB: The horses can bring the rubber chickens. Everybody has seen that video of the horse with the rubber chicken. LD: It’s so much fun! SB: Well, I am looking forward to that. And, I am also looking forward to you bringing Sanat Kumara to us today. Why don’t we let you make your transition? And while you are doing that, actually, I should just say a word about Sanat Kumara to anybody who perchance doesn’t know who he is. He is the Planetary Logos, soon to be Solar Logos when we finish our ascension. Known to most of the world’s religions – as Quetzlcoatl to the Mayans, the Ancient of Days to Jews and Christians. Buddhists know him as Dimpamkara….as the lamp lighter Buddha. Hindus know him as Skandha and Subrahmanaya. He’s incarnated many times to revivify religion much as Krishna talked about in the Bhagavad-Gita. And, with that I’d like to welcome our Planetary Logos, Sanat Kumara. Welcome, Raj. Sanat Kumara: And welcome to you. And now I come to revivify all of you, to engage you in the topic of love. Yes, you sigh and you say, “Is there nothing else that you would like to talk about?” But this topic incorporates everything. So I come to you as Sanat Kumara, Keeper of Universal Law, Planetary Logos, friend, brother, ally. I come to you as Raj. And I come to you as friend. When last we spoke – yes, I do remember – because although we have not named it as such, this is a series of conversations that we are engaging you in. And we have been engaging you in this series of conversations for years now. And so we thank you. We thank you for this platform. But we also thank each and every one of you for listening, for opening your hearts and receiving, for coming to more fully understand the rules of engagement, the operating system of Nova Earth and Nova Being and so much more. When I say that we are engaging you in a series of conversations I do not simply refer to my Sacred Self. I refer to so many of us who line up and take turns to share our wisdom, our information, our understanding, our beingness – our hearts, as you would think of it – and our love. What do you think I am talking about? And I do not say this in the way of posing quandary or conundrum or enigma. I say this to throw open my arms. Yes, as your Planetary Logos, but also as your brother, as your fellow traveler in so many ways. And, yes, I have come to this beautiful planet again and again and again. And simply because I am not manifest in form does not mean that I am not fully present with each and every one of you. What does it mean to be a lightworker? What does it mean to be a loveholder, a lightbearer, a lovebearer? We have introduced these terms several years ago, many years ago, to move you away from the concept of work, while at the same time requesting, encouraging – and at times on behalf of the Mother – pleading and commanding diligence and consistency, fortitude and prudence. But have you noticed that these are not the qualities – oh, they are the foundation, yes – but they are not the qualities that the Mother is infusing you with her renewed Tsunami? And, yes, we know that she will talk about this. But have you thought of her gift of clarity and purity, which is very underestimated and not fully understood. And grace, which is the culmination, the collective of all the Divine Qualities, of all the Blessings and Virtues topped with awe and wonder? And wonder is also underestimated. Now, when last we spoke, we touched upon the topic, yes of love, but also you. And I do speak to you this night – to your beloved heart. Yes, the communiqué goes out throughout the planet and far beyond, but to every human being with auditory presence – and we mean telepathic as well – to hear and to receive these messages, these conversations. And to participate in these conversations. When I pose these questions, I pose them to each one of your hearts, your minds and your emotional fields, your spirits, your souls. Yes, we have this excellent moderator in the person of Steve, who represents you. And this is ideal just the way Suzy is the perfect moderator and represents you. But do not think, my beloveds, that when I pose these questions I am not speaking directly to you because I am. So what does it mean to you? To your sacred, elevated, human, moody self, when I ask of you: “What does it mean to be a lightworker?” You have moved from the point where you think or feel or use the construct that love is outside of you, that you are seeking something. You have anchored that knowing and you are more deeply anchoring that knowing every day – in your heart, in your cells, in your bones, in your fields – that you are love. And that that has been part of your DNA, your structure, what you brought in every incarnation, whether it was here or elsewhere. That this was the gift from the Mother but at this time of the re-anchoring of love among the planet that has also been catalyzed within you. So I think that we are all clear in the understanding – if not the incorporation – certainly the understanding that you are love. And you say, “Oh yes, Lord, that is because love is everything.” That is not what I am talking about. I am talking to you, my family, your love, and your allowing that knowing truly to be present and to begin and to continue and to expand in the application of Universal Law. Yes, I cannot let a conversation go by without mentioning this! But for most of you the question tends to be in the “how”. And we have touched on this. And might I say, even in touching on it, in skimming it, that so many of you are doing such stellar work. Yes, we do still hear you when you say, “Oh, I can’t do that unless I have money. I can’t do that unless I have clairaudience. I cannot proceed unless I have support.” The good news is, that we are actually hearing less of this because you are fully assuming your mantle of Divine Authority. Now I am not saying these issues – in a human form, which I fully recognize and remember and understand – these issues are important. But what you are doing in laying the foundation and proceeding – not with your heads down in drudgery – but with your chin up and a smile on your face – you are proceeding. You are proceeding in your planning. You are proceeding, more importantly, in the anchoring, the action, the living in love from everything. That is sharing a loving thought, to a smile in line at the grocery store, to a deep knowing look to a stranger as you share your heart and touch their heart. So being a lightworker, loveholder, is not simply what we and you think of as the grand undertakings. It is an every moment, every action, every thought, every undertaking that you do in the course of an hour or a day or a week or an eon. And what we are so pleased to commend you on is that you are proceeding in this regard. Now, let me be clear. This is not a matter of proving yourself. Your worth, your sanctity, the respect and the honor that you are held in is omnipresent. It is already there. So, it is not that you are proving yourself or trying to earn your way to heaven. The warehouse of heaven is fully open to you. Come at any time. But come wearing a heartfelt knowing smile as we greet one another. What you are doing in no small measure – even if you think it is so (and I use the mental construct) – what you are doing is demonstrating how you live truly as a lightworker. Not how you work. How you live. How you operate as a loveholder, a lightbearer. There are those in the collective that love to live in extremes – live dangerously would be your term. They love extreme sports or extreme experiences. But in the day to day, it is part of who you are to truly like to know ease – not easy, but ease – smooth, grace, flow. And when you are in that flow, when you are clearly going forward, it makes those who choose to have an extreme experience more confident to do so, to break down those barriers, which to many feels dangerous, feels extreme. So what you are doing, my beloved friends, in the day to day, holding the space, holding the frequency, holding the vibration, allowing all these attunements that are being given to you to truly be anchored and incorporated into your Sacred Self. What you are doing is you are creating that ease of access to love. So that when…let us use an example. It would be very easy for someone who is in the recalcitrant camp, shall we say, to say, “Oh, I am going to go with that guy because he has billions of dollars.” That is not a decision that is born of love. That is a decision that is born of greed and the hope for greater control. And, might I even say, further abuse of authority, greed. So, that is what you are creating as loveworkers. That is what you are anchoring and you are doing a famous job. Now, I am not suggesting to you – and let me be very clear because I can hear all your alarms going off – I am not suggesting to you that you do not get to participate in the abundant wealth of the Universe until that has been accomplished, until you have brought all the recalcitrants over. No. But what I am saying to you is that in the everyday functions that you are doing right now, in anchoring the everyday love, shall I say, is that you are forging and forming that pathway. And you are calling to many. Now, there is a very strong resurgence, which I am noting, and I am asking you to pay attention to, because it is like a last gasp effort of… hatred. That is the only word for it. Yes, and what you think of as the very dramatic terrorist attacks. Do not forget that your star brothers and sisters are intervening enormously. But when I talk about this subtle hatred, it is in the exchanges in your social media, in buying into that which is not of truth and not of love. And you say, “Well, how do I know? How do I know, SK, whether it is of truth, whether it is of love?” It is very simple. You ask your heart. If you are uncertain, ask me. I will gladly share my wisdom. But does it evoke love in your heart or does it stir the pot of hatred, of dissension? Do not look externally, and particularly do not look externally out of your community to see what is true. Your heart, in tandem and alignment with your mind and the totality of your being, in alignment with the Mother/Father/One – that is your guiding light. And from there you not only assume but exercise your Divine Authority and your Divine Knowing. It is not some distant undertaking or distant next step. It is right now, beloveds. So I pull you back. Not to the reminder that you are already love but to the conversation about “How does love behave?” And you cannot – well, you can try – but you cannot truly successfully, consistently, gracefully implement the grand plan if you are not the anchoring of the grand plan, of the love within, in every moment of your day. And when you are luxuriating in that luminous love, you don’t want to be anywhere else. Yes, we are moving you also – and not eliminating, let me be very clear about that – not eliminating the floating in love and in bliss, in the glory of love. But also, anchoring it so deeply that it becomes your operating system. That you move, because you have been anchoring your Divine Sacred Purpose, according to the Law. Now, what are you doing with your intent? Because if you are intending to be the love, then you are the love. Yes, it really is that simple. Now, dear Steve, where do you wish to begin? SB: Well, thank you for that discussion, Raj. And I think, for me, the million dollar question concerns heart openings for everyone and I’d just like to say a word about that to the listener before asking you to explain how all of us can open our hearts. And, to the listener, I just want to say, I’m not talking about an attitude, I’m not talking about “you are open hearted, you are closed hearted,” some kind of way of relating that we have. I’m talking about something very specific and that, with me, it was almost an explosive opening of my heart. After that, love flowed freely. Because that seemed to be brought to me by Archangel Michael, right? It happened to me about 3 hours before I had a reading. How can the rest of the world experience that? It’s for me just like my birthday. SK: It is your birthday and Canada Day and New Year’s Eve all rolled into one. But the truth of the matter is, is that you all can have that. Now what is the subterranean, literally text and core issue? Feelings of lack of self-worth. Now those are being eradicated and washed clear by the Mother, by the Porlana C, by the Tsunami of One. And yet, there are some of you that cling to this. 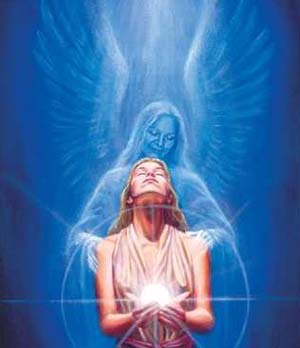 And then you can invoke the Mother or even the Father or any Archangel that is your favorite, or me or Yeshua, Maitreya. And make your petition. Not in hollow words – that is the difficulty that has become with religion. The intent – you see, I told you we were moving to intent today – the intent of those hollow words for so many has gone missing. Intent is the heart declaration of your deepest desire. And your deepest desire is not for worldly goods or fame or fortune. It is for love. It is the yearning for reconnection. To know of the Mother’s love while in form. Not as some construct or idea or distant energy. But very up close and personal. And you say, “Well I prayed once, Raj. I asked once, I asked twice, I asked 10 times and it didn’t work for me.” Go deeper and ask again. So I would pose a question to thee, Steve. How many times did you ask before it was received? SB: Oh, I cried out many times, Raj. SK: And that is important for people to understand. It is when you get to that place, not only of the heart-felt petition – the crying out as you put it – almost in desperation. But also in knowingness that such an ignition is possible. And then in your Divine Right willing it. Having thrown away the uncertainty, willing it to happen. So that is the “you” component. That is the piece that you bring to this process. We don’t want you on your knees begging. But you need to discover the depth of your heart. And it does express in your understanding as crying out, as that deep, devotional petition paired with your will and your willingness and your heart openness to receive. This is critical for the lightworker community. You are extraordinary at giving. And many of you have given your lives. And some of you – although you don’t even know it – have given your lives to this undertaking of the anchoring of the Mother’s Love upon this beautiful planet of Gi-Anna. But, it is there. That alignment is there. So simply keep the doorway open. You say, “Well, that is good for the lightworker community because they are aware.” Now let us also say while we have been talking about the eye-to-eye, heart-to-heart, smile-to-smile contact every day, is that this heart opening, this anchoring of love is highly, highly contagious. If you want a pandemic, this is it. And that is how it is spread. So you are the originators of this virus. And you are spreading it, because the Mother does not ask for those who are unaware or more significantly, even fervently recalcitrant, to break down the barriers in one go. But you, with us – because we are in this Sacred Partnership – that is exactly what you are doing. Not by being false authoritative, not by commanding or demanding. It is the gentleness, but the clarity, and the consistency that is winning everybody over and opening them to that experience. Long ago the Council has given you the exercise of two fingers to the heart to give the love and open another’s heart. Now this is not merely a feel-good or esoteric exercise. You can touch the hearts of millions all at once. You can give them this gift. You can line them up and say, “Today I am opening the hearts of all the recalcitrants. Today I am opening up all the hearts of ISIS. Today I am opening up all the hearts of all who sit in governance.” And simply do it. You are far more powerful than you have recognized and given yourself credit for. Now we know how powerful you are. We are not partnering with juniors. You are not in a training phase. And we have passed the preparedness and the readiness. We are in action, beloveds! Does that answer your question, dear heart? SB: Yes it does. I have a second question for you. That concerns the meditation that you offered to us on January 26, 2017. And that was to do a month of meditation where we send out loving thoughts to another, to our food, to our drink. Kathleen and I are actually doing that, a month of that meditation, and it’s very strong, very transformative. Does our doing that meditation affect others? SK: Yes, it does. And I thank you because so often – and I do not just mean for me, but for the many who engage in these conversations with thee – we give you assignments, we suggest assignments, we plead for you to do certain things and you are in the moment – this is not a criticism – you are in the moment and you receive the energy and you know how good that feels and how good this would feel and how blessed it is. And then you immediately set it aside and say, “What’s next? What’s next?” – when you have been given that key to the doorway. When you do this, for your Sacred Self, with and for another, the ripples go out. The energy travels. Think about what we say when we talk to you this night. The waves, not only of our voice – not only of sound waves – go out across the planet. Even when people are not tuning into this radio show, it does not matter. The waves of sound go out. But so do the waves of love. Inside the sound is light and love. And inside the light is the sound. And the word is made manifest. So when you do this – think of it in this way. That you and your beloved partner, you send energy across a town, but as that wave crosses town, it is hitting everybody in your city, in your province – out to the islands and Alaska and Russia and to the east coast and far beyond. Yes! And then think of it. You love your food and you love your water – which pleases St. Germaine to no end. But think of it in this way – and it is important that you eat living food and living water. So the molecules in your water and in your food receive the love and literally are exploding and enlivened with that energy because it matches their soul purpose and function as well. Everything has a similarity of purpose. And then those molecules, although you do not understand it fully, are communicating – water to water – not only within your body but to the molecules of water all over your planet. So is it a sacred act? Is it being the lightworker? Is it having huge effect? The answer is yes! And the bonus to all of this, sweet ones, is that you feel it. You feel different. You feel as if you are the embodiment. And it is not just a feeling. It is the truth. You are acting as who you are and you are acting on behalf of the Mother and all of us. So thank you. SB: You are decidedly welcome. There is no need to thank us who are being rewarded so generously by love itself. But, I do want to ask you…we have a common sense expression about the 100th monkey effect. How does the 100th monkey effect – whatever that phrase refers to – work? SK: When I have said to you that love is contagious, when I have begun by saying to you that love always wins – yes, even when it has taken thousands and thousands and thousands of years. The 100th monkey is the same as your tipping point, as when you come to that snapping point, what I have referred to as a love pandemic. There is a point at which there is an irreversible factor so that this virus – because you understand that – is going to affect everybody upon the planet. That it has spread that far and wide. And that even if someone in the remote area of Vietnam has not actually exhibited the symptoms of the pandemic virus of love, they have still gotten it. They have been infected. They have breathed it in and they have drunk it in their water and eaten it in their food. And they have heard the Tsunami crashing at their door and then it becomes irreversible. Now we have not talked about irreversible a great deal, because we would never want you to go away with – but you have reached the point in your spiritual understanding that you do not do this – we do not override your free will and all the other factors that come after that exercise of free will. But when you are embodying the truth of who you are – when you are choosing to spread the virus and then it becomes, well you got the virus just by breathing, then that is when it becomes irreversible. You are going to be infected whether you know it or not, whether you are conscious or not, whether you are recalcitrant. Now that is because those who absolutely refused will be gone. That is their choice and that is a choice that is always honored by the One and by us who assist. But what that 100th monkey becomes is the point at which it becomes irreversible. And, what I suggest to you is that you are pretty much there. So the pandemic is spreading. Now that does not mean stop breathing! For goodness sake! And I mean that truly – for goodness sake, for grace’s sake, do not stop breathing and spreading, because what you are doing is speeding it up. And we are anxious but, more importantly, the Mother has dreamed that now is the time. SB: Well, we just have about five minutes left, Raj. I wonder if you could give people kind of a news brief. Are we close to the Reval? Can you give us any update on that? SK: I will share with you the party line (laughing). But it is good news and it is already in process. Now it is the nature of these undertakings – both in form and out of form, the viral of love – that the expression of that love be truly seen and tangible. And I am not suggesting that it isn’t, because it is. But do not be distracted because there are many who are engaged in this process of what you call Reval and what we call spiritual reevaluation that still are on the distraction path… let us put it that way. But in terms of the mechanics, the process and the Divine Blessing, let us call it what it is. It is underway. You will not know until you know. And that is to create an atmosphere, an environment where chaos and mayhem does not rise to the surface. It has need to be done. The switch has need to be done very subtly, very quietly, or there will be all-out revolution and that is not in the Mother’s Plan. SB: In fact, the work that we are doing on love, in love, is a direct contribution to that successful outcome. SK: That is absolutely correct. When you are practicing love, when you are being the love, when you are sharing the love, that is your ticket for entry. And so there is a – again we do not like to use the term separation – but there is a separation that is occurring. Now do not confuse that with a “no trespassing sign.” But there is a separation. What do you choose? And that is why we have talked about, ”What is a lightworker?” It is the one that chooses love. It has never been, and it never will be, for money’s sake. It is for the anchoring of the Mother’s Plan. It is for the sharing of heart. It is for the healing of the wounds of war. And I mean war in every sense of the word. And Michael is as much a part of this as we all are. So go forth. And go forth in laughter, not in worry about when, when, when. Go forth in certainty. You’ve cried out and the petition is heard. So go forth. SB: I also think that some of the revaluation of currencies reflect some nations having been devastated in war and now being given the opportunity to rebuild. Is that a correct destination? SK: Yes, it is. And the thing is, is that not only are they being decimated. Where it is not obvious that there is decimation (that is your word), it is becoming apparent that it has been built on shifting sands and the sand is moving. The very earth is moving. And so that they are dissolving back into what they originally were, which was not recalcitrance or hatred or greed. They are dissolving so that they can be reabsorbed into the Mother’s Love – washed clean by the Mother’s Love. SB: Well, there certainly is a lot that is exciting to look forward to, Raj. Certainly the ascension energies are wonderful and we know that disclosure is just a little ways off, probably facilitated by both Reval and NESARA. So, it’s quite an exciting time. SK: It is a very exciting time even for us that are not in form. Do you know how long we have waited? And do you know how long you have really waited? SB: Well we have run out of our time, our very limited time. Is there anything you’d like to say in closing, Raj? SK: Work with your law of Intent, your heart petition, and your determination and clarity of thought and mind and heart and emotion. And go forth, and go with my love. Farewell. ©2017 Council of Love, Inc.